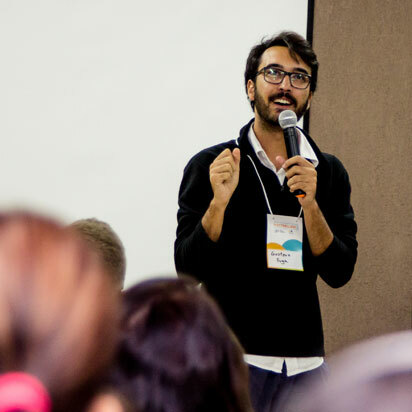 What is the Global Youth Entrepreneurship Summit? The Global Youth Entrepreneurship Summit (GYES) is the Youth Business International network’s flagship event which brings together leading experts, influencers and decision makers in the youth entrepreneurship sector. It is a space for YBI members to connect with game changers and sector innovators through workshops and facilitated discussions to explore, ideate, collaborate, and generate new approaches that respond to the ever-changing needs, challenges and aspirations of young entrepreneurs globally. At GYES 2019 you will connect with a wide audience of individuals working in business and enterprise, including international development NGOs, micro-finance institutes, mentoring specialists, entrepreneurs, and private sector organisations. This year’s theme, Innovation for Impact is designed to identify and provide new solutions for challenges faced by youth entrepreneurship support organisations across the world. Participants will have the opportunity to explore key topics and share their expertise with the world’s leading organisations in youth entrepreneurship support. Future - We will look at the key trends in youth entrepreneurship and what we need to be thinking about for the future of work. We will explore what innovation really means and how we harness it to increase our collective impact. Progress - We will discuss in depth the skills needed by young people to thrive as entrepreneurs tackling topics such as migrant youth, digital barriers and entrepreneurship in rural communities. We will look for ways to further develop the services that we offer as a network to the young entrepreneurs we support. Growth - We will explore the continuing collective challenges of sustainability and growth in the context of scaling. We will share experiences of different business models and revenue streams, joint ventures and commercialisation. Keynote speeches - Keynotes will feature some of the most knowledgeable experts in the youth entrepreneurship sector. Keynote speeches will be open to all GYES 2019 attendees. Panel discussions - Panel discussions will tackle hot topics in the sector - using innovation to scale impact, barriers in supporting youth to become entrepreneurs, sustainable business models, providing access to finance and the value of mentoring. Workshops - Our workshops will arm you with the tactical know-how you need to asses, improve and grow your services, to better respond to the needs of the young entrepreneurs you support. Will there be networking opportunities or social activities planned? There’s more to the GYES than just great content. Along with opportunities to learn, share and get inspired, there will be plenty of networking and social activities. What tickets should I choose? YBI Member Ticket - This ticket is exclusive to YBI members and is available for the entire week. This ticket will allow access to all GYES 2019 activities including keynote speeches, plenary sessions, workshops and social activities. In addition to this, YBI members will also have access to discounted rates at hotels near the Convention Centre. Corporate Ticket - This ticket is for corporate professionals with an interest in supporting youth entrepreneurship organisations. It allows full access to the first four days of the GYES 2019 (Monday to Thursday). Corporate Ticket holders will be able to attend keynote speeches, plenary sessions, workshops and social activities. Please note, there is a strictly limited number of corporate tickets so we encourage you to book in advance. Charity Ticket - This ticket is for professionals working in not-for-profit organisations. It allows full access to the first four days of the GYES 2019 (Monday to Thursday). Charity ticket holders will be able to attend keynote speeches, plenary sessions, workshops and social activities. Please note, there is a strictly limited number of charity tickets so we encourage you to book in advance. Payment is required when you register for Corporate or a Charity ticket and we only accept credit and debit cards. All payments must be made through the Eventbrite online registration form, which is can be found on the GYES 2019 homepage. We accept Visa, Visa Debit, MasterCards and American Express. If you are experiencing trouble submitting your payment, please get in touch via GYES2019@youthbusiness.org and we will look into it. Your receipt is included in your registration confirmation. Make sure to check your spam folder if you can’t find your confirmation email. If you still can’t find it and need another copy, get in touch with us at GYES2019@youthbusiness.org. If you registered multiple people and entered your information at the beginning of the checkout process, your confirmation email will include all attendees who were part of your order. All attendees will also receive their individual confirmation if you fill in their email addresses. How do I register a group of people? Registering a group is easy. Select the number of tickets that you need during the registration. You can select a mix of different ticket types in a single transaction. Enter your contact details and the contact details of everyone you are purchasing a ticket for. Each of the people you assign a ticket will also receive an individual confirmation email. You can revisit Eventbrite to access your registration details later and view all the tickets you have bought. How do I secure a place for my organisation if I don’t know who’s attending? If you want to buy your ticket before pricing goes up, you can register now and change the attendee information later. When you register - Select however many tickets you want to purchase and enter your information at the top of the order screen. A summary of the order will be sent to the email address you provide. Once you know who’s attending - When you’re ready to transfer your registration, you can make the changes yourself in just a couple of minutes. You can find instructions for transferring passes in the ‘Managing registration’ section of this FAQ or by revisiting your Eventbrite account to view your registration details. If you ask us to make changes to your registration, we’ll need your order number for verification. You will find your order number in your GYES registration confirmation email. If you’ve tried all of these options and still can’t find your confirmation email or tickets, contact us via GYES2019@youthbusiness.org. Click here to log into your Eventbrite account and select Tickets in the Account Menu (top right) click on your order. Locate your order (under “Tickets”) and click the name of the event to display the information entered on the order form. To update or edit your order information, click “Edit” (on the right). After you finish entering the new attendee’s information click “Save” to save your changes. You cannot change the number of tickets ordered, billing address, or credit card/payment type used. We recommend selecting the “send confirmation email to new attendee” box when changing the email address on your order. NOTE: If you entered an incorrect email address during registration, you can log in with the incorrect email address and password to change the email address on your Eventbrite account. Please note: You must change your email both on your Eventbrite account and on your GYES order. If you’re unable to transfer a ticket on your own for any reason, get in touch with us at GYES2019@youthbusiness.org. For verification purposes, we’ll need the order number of the ticket you want to transfer, as well as the name and email address of the new attendee. Changing hotel reservations - If you transfer a ticket, changes will not be automatically reflected on your hotel reservation, so it is your responsibility to contact your hotel in order to cancel or change your reservation. How do I cancel a pass? Under the UK Consumer Rights, you are entitled to a full refund in the case the event is cancelled, rescheduled or has changed location. All refunds will be made to your original form of payment. Unfortunately, we cannot offer a refund if you are no longer able to attend or have changed your mind. You also have the option of transferring your pass, which you can do yourself for free at any point until the start of the Summit. How to cancel - If you need to cancel your pass, just get in touch with us by replying to your registration confirmation email or emailing us at GYES2019@youthbusiness.org. Canceling hotel reservations - If you cancel a pass, changes will not be automatically reflected on your hotel reservation, so it is your responsibility to contact your hotel in order to cancel or change your reservation. Can you offer support for my visa application? Most attendees are unlikely to require a visa when travelling to Colombia for GYES. To check whether you need a visa please visit this website. However if you do require a visa, getting one will be your own responsibility, but we can provide a letter of invitation. We are not able to provide any advice or assistance. To request an invitation letter, you must be a YBI member or registered for the GYES 2019. Get in touch with us by replying to your registration confirmation email, giving us your full name as it appears on your passport. If you are denied a visa, we will not be able to make any exceptions to our cancellation policy. However, you are welcome to transfer your pass to someone else free of charge. How do I get to Cartagena? If you are planning on flying to Cartagena, Rafael Núñez International Airport (CTG) is the closest airport to the city of Cartagena. The airport is 3.5 miles from Cartagena’s old town and taxis and buses are available. We have arranged reduced rates exclusively for YBI members at two sister hotels, Allure Bonbon and Allure Chocolat, just around the corner from the GYES venue. Book by 31st March 2019 to receive discounted rates, ranging from COP 270,000 (approx. USD $85) per night to COP 350,000 (approx. USD $110) per night, including all taxes and fees, plus free breakfast and WiFi. To book a room, visit their website or email either Hportillo@allurehotels.com or reservas@allurehotels.com using the discount code provided in the About Your Ticket section of your GYES registration confirmation email. When contacting the hotels, include which of the two hotels you would like to stay at, the type of room you would like to stay in, the number of guests using the room and any other requirements you may have. Please note that the exclusive YBI discount is only available when booking by email or over the telephone. It is not available when booking online. If you can’t find your confirmation email, containing your hotel discount code please get with us in touch via GYES2019@youthbusiness.org. Are there any other alternatives if I don’t want to stay at these hotels? If you prefer to stay somewhere else, you’re welcome to seek other options through online travel sites. But please be aware that the quality and safety of accommodations can vary greatly in Cartagena, especially in the old city and Getsemani neighbourhoods. We strongly encourage you to stay at the official GYES hotels if possible or to carefully research any other accommodation and the transportation to and from the Convention Centre. Please note the Allure Hotels are our only official hotel partners, so you shouldn’t give your information to any other website claiming to provide hotels for the Summit. If you come across one of these sites, please report them to us at GYES2019@youthbusiness.org. How can change or cancel my hotel reservation? YBI members booking rooms at Allure Bonbon or Allure Chocolat can cancel their reservation without charge up to 20 days before check in by visiting their website or emailing either Hportillo@allurehotels.com or reservas@allurehotels.com. Please ask your hotel for further details on their cancellation policy when booking. Can I get a shuttle from the Airport? If you are staying in the Allure Chocolat or Allure Bonbon, you can book an airport transfer from/to Rafael Núñez International Airport when making your hotel reservation. Allure Hotels will charge COP 35,000 per car between 8:00am and 8:00pm and COP 60,000 per car between 8:00pm and 8:00am. Where do I pick up my badge from? You can pick up your badge onsite at GYES 2019 at any point during the week. When you arrive at the venue, your first stop should be to check in to get your badge. More details on how to check in will be sent to you closer to the event. Is there a dress code at GYES 2019? There is no dress code at GYES 2019, wear whatever makes you feel comfortable. We encourage you to bring clothes appropriate to both the cool air-conditioned convention centre and the hot Columbian summer. Will there be any food provided? Breakfast - YBI members will be offered breakfast as part of their hotel booking if they opt for one of the two suggested hotels. Lunch - Attendees will be provided with lunch at the Convention Centre on each day of the Summit. Dinner - All attendees will be provided with evening meals on Monday 10th June and Thursday 13th June. All attendees will be asked to provide dietary requirements during the registration process. If you would like to discuss dietary requirements further you can contact us at GYES2019@youthbusiness.org. If you're looking to showcase your brand in front of 50+ organisations from across the world, the Global Youth Entrepreneurship Summit offers several customisable sponsorship and partnership opportunities to fulfil your needs. We are offering three Partnership Packages and targeted Member Sponsorship to support attendance at this event. We also welcome your involvement in developing a bespoke package to help your brand reach a wide audience, ranging from international development NGOs, micro-finance institutes, to mentoring specialists and private sector organisations. You can view our prospectus here and please contact Rebecca Read for more information. If you're looking to showcase your brand in front of 50+ organisations from across the world, the Global Youth Entrepreneurship Summit offers several standard and customisable sponsorship and partnership opportunities to fulfil your objectives. What can we do together? From keynote speeches, panel discussions and workshops featuring some of the industry's most knowledgeable experts, to networking and social activities, GYES 2019 is an event you don't want to miss. This year’s theme, Innovation for Impact, will arm you with the tactical know-how you need to better respond to the evolving needs of the young entrepreneurs you support. Join leading experts and YBI members from over 50 countries across 6 continents and help shape the future of youth entrepreneurship. 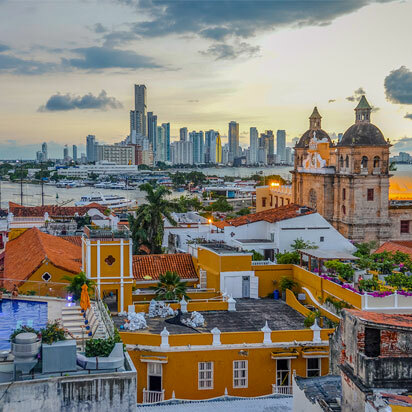 GYES 2019 will take place in Cartagena, Colombia, at the Cartagena Convention Centre, conveniently located just minutes away from the Rafael Núñez International Airport. Head to the FAQ to read more about how to get to Cartagena, where to stay and how to access the YBI member special discount hotel rates. We will look at the key trends in youth entrepreneurship and what we need to be thinking about for the future of work. We will explore what innovation really means and how we harness it to increase our collective impact. We will discuss in depth the skills needed by young people to thrive as entrepreneurs tackling topics such as migrant youth, digital barriers and entrepreneurship in rural communities. We will look for ways to further develop the services that we offer as a network to the young entrepreneurs we support. We will explore the continuing collective challenges of sustainability and growth in the context of scaling. We will share experiences of different business models and revenue streams, joint ventures and commercialisation. Broaden your horizons with inspiring activities, from daytime keynote speeches, panel discussions and workshops, to organised networking and social activities. We'll update the agenda regularly as we move closer to the event. An excellent opportunity to network, meet old friends and colleagues, as well as meet new people before the official start of the GYES 2019. A light buffet dinner and drinks will be served during the event. We will celebrate the entrepreneurs who have created exceptional, innovative businesses that have the potential to grow, and the mentors who guided them to success. What skills will young people need in the future to become thriving entrepreneurs? An opportunity for regional working groups to come together and explore and share challenges, expertise and strategies in supporting young entrepreneurs. From industry experts and influencers, to decision makers and entrepreneurs, our speakers are all experts in their fields. Come along and be inspired to make your work even better. Nicolas Cary is a serial entrepreneur and lifelong technologist. He attributes much of his insight to his personal journeys around the world. In 2013 he co-founded Blockchain, the world's leading crypto assets software company with over 35 million users. 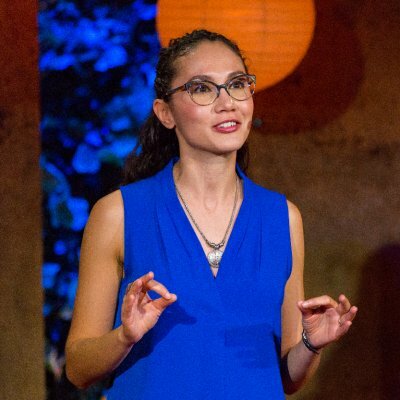 Prior to co-founding the Global Initiative for Skills Portability (a think tank focused on the future of education), Leticia co-founded the movement Fuckup Nights, present in over 300 cities in 90 countries, and the Failure Institute, the first centre in the world devoted to studying business failure. Futurpreneur Canada is a national, non-proﬁt organization that provides ﬁnancing, mentoring and support tools to aspiring business owners aged 18-39. Their internationally recognized mentoring program hand matches young entrepreneurs with a business expert from a network of more than 2,800 volunteer mentors. 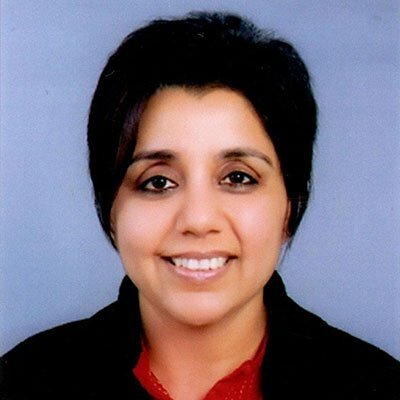 Namita is the Head and Coalition Manager of S4YE, a multistakeholder global programme that brings together multilaterals, bilateral organisations, private sector, think tanks and civil society on the agenda of youth employment. 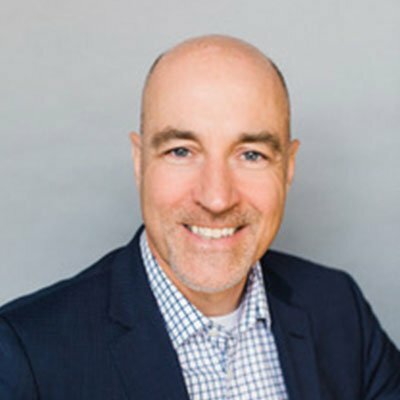 Co-founder and Chief Experience Officer, We and Me, Inc.
Chad is the co-founder of We and Me, Inc - an organisation whose mission is to create conversations that matter. 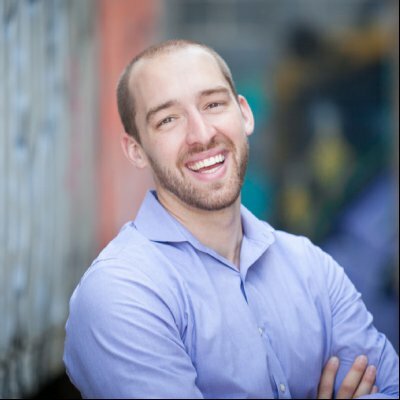 Chad is a TEDx speaker, author of the Pocket Guide to Facilitating Human Connections, and creator of We! Connect Cards used in over 80 countries around the world. 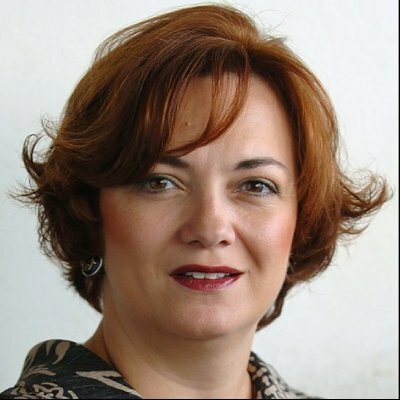 Branka spent 17 years with ManpowerGroup, the world leading organisation in innovative workforce solutions. She has extensive experience in labor market and skill gap analysis and her research deals with innovative policies and best practices to reduce youth unemployment. 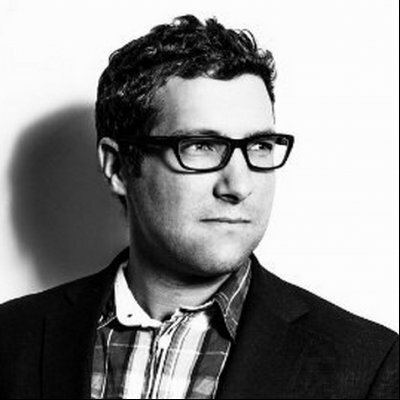 Ian Gray is the Founder of Gray Dot Catalyst, a strategy, innovation and partnering consultancy. 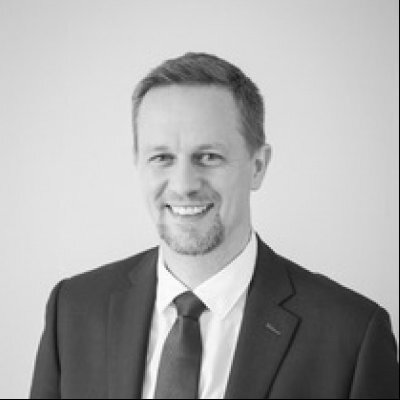 Before founding Gray Dot Catalyst Ian spent the previous 10 years as a leader in the Humanitarian and Development sectors, covering strategy, programmes, policy and innovation. What I am looking forward to at the 2019 summit is the collaboration with other NGOs, industry leaders and corporations all working together for entrepreneurship development. Despite the diversity of our approaches, we’re looking forward to sharing the same ultimate goal: to improve the skills and knowledge of our youth. Read the latest news, media coverage, blog posts, and more. All GYES 2019 content lives right here. If you are a YBI member or supporter use the code provided in the launch email in order to unlock special tickets at discounted rates. 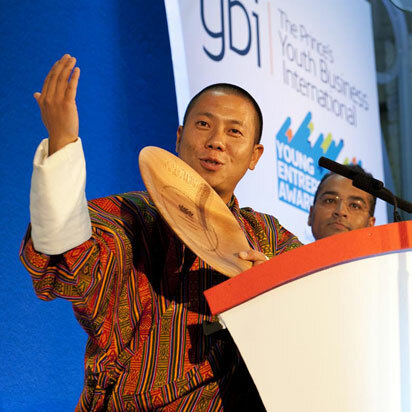 Youth Business International is a global network of expert organisations in over 50 countries supporting underserved young people to turn their ideas into successful businesses, creating jobs and strengthening communities.